This little red book is a compilation of the author’s ‘thoughts for the day’. The 366 statements may be witty or wise, sad or joyful but all are thought-provoking and life-enhancing. 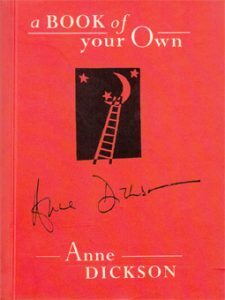 A Book of Your Own is a timeless gift for yourself or for someone you care for, to be enjoyed every single day of the year else, whenever inspiration is required.